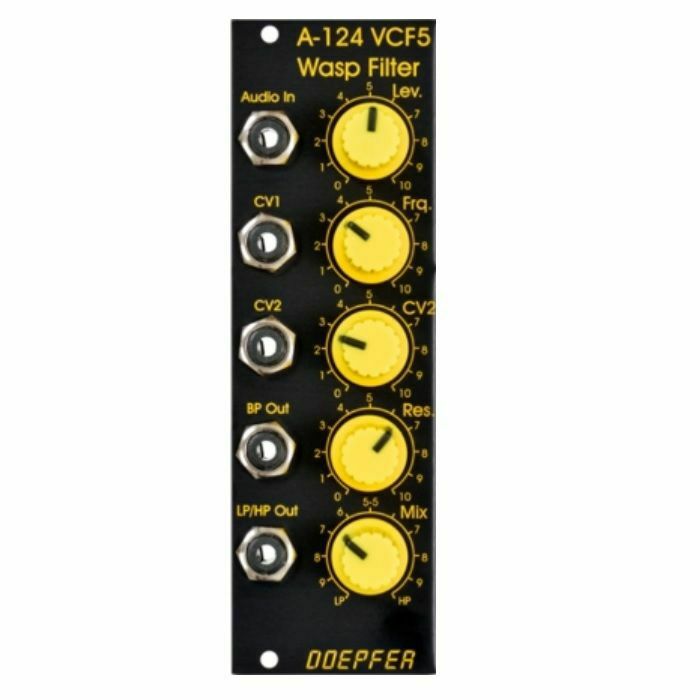 Module A-124 is a special 12dB multimode filter using the "strange" filter circuit of the "EDP Wasp" (an analog synthesizer with black/yellow case built end of the seventies, manufactured by the UK company "Electronic Dream Plant" with Chris Huggett und Adrian Wagner). 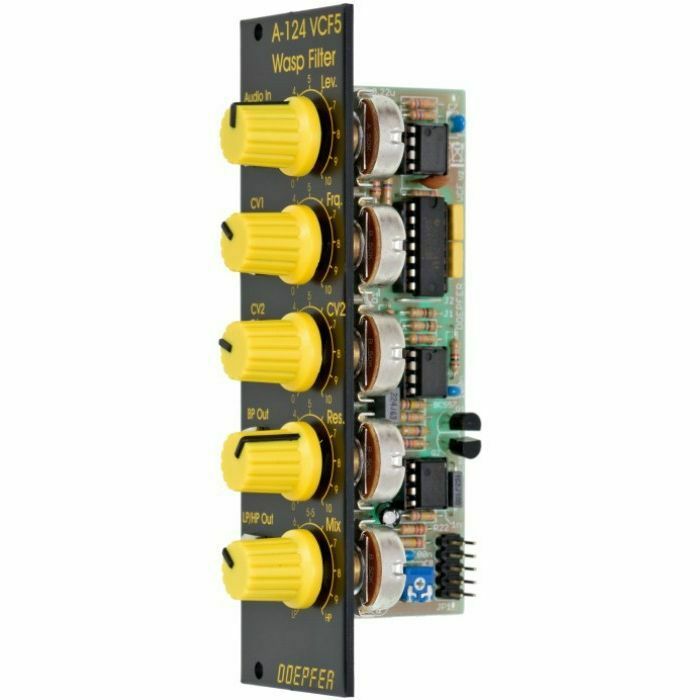 This design "abuses" digital inverters as analog operational amplifiers leading to distortions and other "dirty" effects that generate the specific sound of this filter. 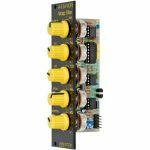 The filter is equipped with a band pass output and a combined low/notch/high pass output. For this output a control knob defines the relation between low and high pass signal. 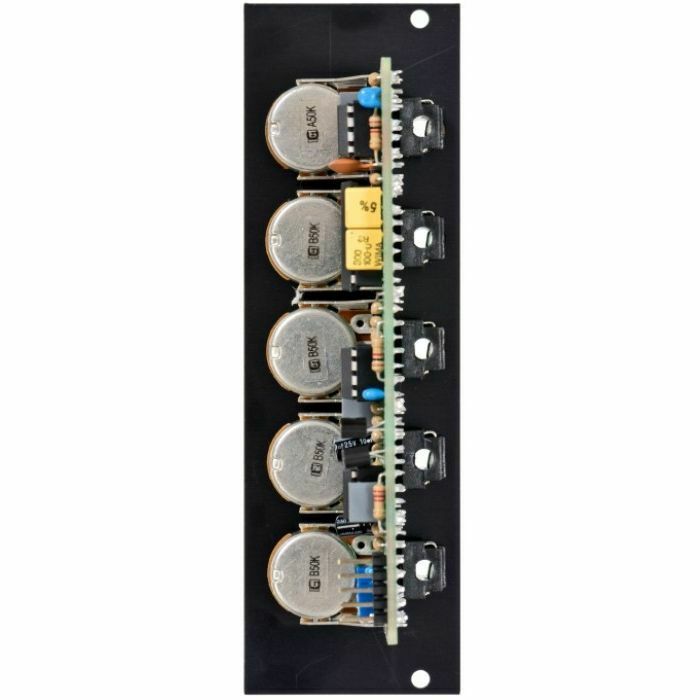 If both signals appear at the same level (i.e. 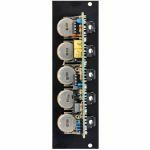 middle position of the Mix knob) one obtains a notch filter. Otherwise the low or high pass signal predominates. 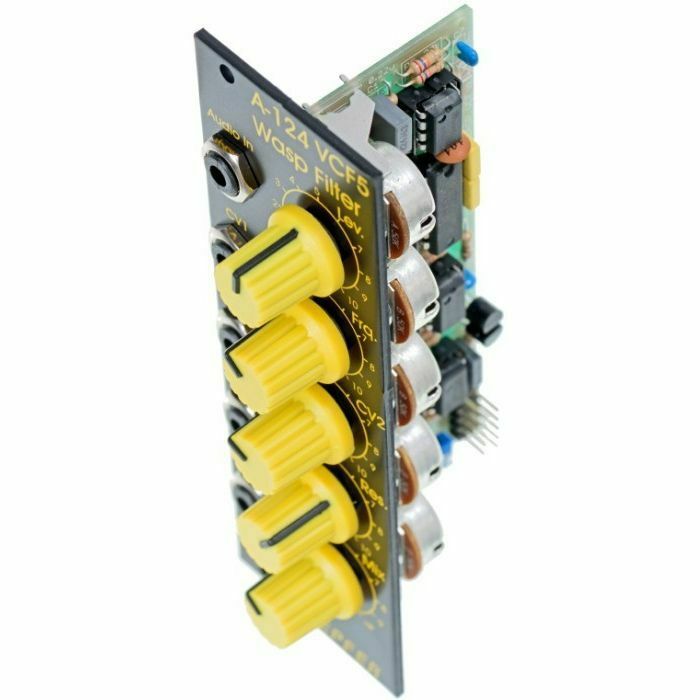 The module does not feature self-oscillation in contrast to most of the other filters of the A-100 system.